A farmer had some puppies he needed to sell. 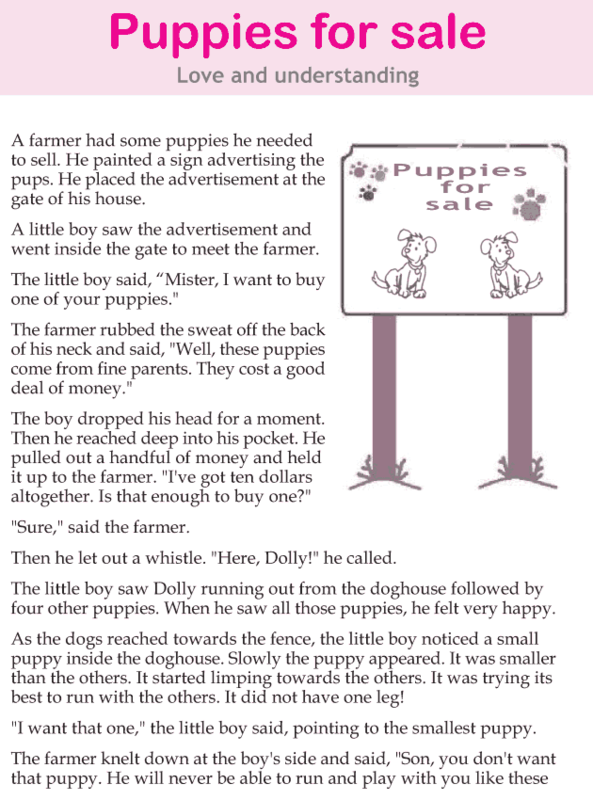 He painted a sign advertising the pups. He placed the advertisement at the gate of his house.